to the center, where procreation flared. under the luminous plunge of the shoulders. In the summer of 1908, the sculptor Auguste Rodin told Rilke to stop writing about his childhood and use the world around him as the subject for his poetry. Rilke did just that, writing about the panther at the Paris zoo, the carousel at the Luxembourg gardens and Chartres Cathedral. 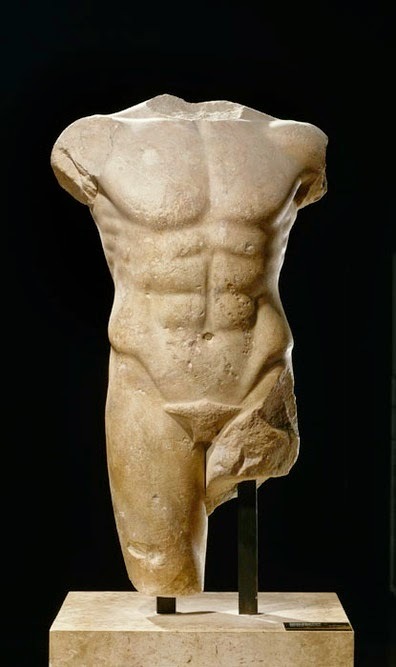 He also visited the Louvre and saw this fragment of a Greek statue of Apollo, and it inspired one of his most celebrated poems. In this translation, I've tried to convey the immediacy and sense of wonder of Rilke's poem in German. My blog, "On the wing"
Copyright 2019 Frank Beck. All rights reserved. Watermark theme. Powered by Blogger.